MORE commonly those who speak of healing refer to correcting merely the ailments of the physical body. But viewed from the broader standpoint of Mental Alchemy there are twelve distinct departments of each person’s life, of which the health of the physical body is only one. What happens in each of these departments is determined by the volume of energy and the organization of the thought compounds, thought cells and mental structures within the one of the twelve compartments of the unconscious mind relating to the affairs of this section of the total life. Health and disease, from this broader viewpoint, are terms equally applicable to each of man’s outstanding relations with his environment. If his relations with any section of his environment are unsatisfactory, this is a certain indication of inharmony or lack of power on the part of thought compounds within a definite compartment of his astral body. And the only way he can permanently insure more favorable conditions in this department of life—in physical vigor, in finances, in knowledge, in the home, in love, in work, in marriage, in collecting debts, in public expression, in honor, in friendship or in secret undertakings—is through such an alteration of the thought compounds within the compartment of his astral body relating to the department as will give them more energy or a more harmonious expression. When the proper changes have been made in the compounds that form the thought cells embraced within a certain compartment of the astral body, this Reconditioning of the desires of these thought cells causes them to work from the four-dimensional plane to attract into the life those physical things most favorable to fortune in the corresponding department of life. Yet even before such changes have been completed, the individual can assist by an intelligent selection of the physical environment favoring a better fortune; for the most of the events and conditions of physical life are dependent upon physical things. We can neither help nor harm people unless in some manner we contact them, nor can they help or harm us without such contact. We cannot acquire those possessions which give wealth unless we have access to material resources. We can acquire only a limited amount of information unless we are able to get assistance from books or from intelligences possessing information. Fortune in the home is dependent upon a domicile and people in it. Love affairs and children require human associations. Food is not manufactured from nothing; it grows and must be acquired. Marriage and partnership include human companions. Inheritance is usually considered in terms of physical things. Public expression, to be successful, requires certain material facilities. Honor is measured in terms of human relations. Friendships can prosper only if there are friends. And secret enemies are dependent upon beings other than ourselves. Each of the twelve departments of life, as thus shown, is dependent for its health upon proper conditions in the physical environment. And if those most favorable environmental conditions are provided through intelligent effort, this takes a great burden from the task of the thought cells within the unconscious mind. These thought cells, or stellar cells, as they also are called, can move the physical environment either in the direction of fortune or misfortune only to the extent they possess or acquire energy. And with the same amount of energy at their command the degree in which they can move the physical environment depends upon the weakness of its resistance. The environment may be such that no amount of energy the thought cells can muster can overcome its resistance and bring into the life some particular event. Or it may be such that almost no effort must be spent by the thought cells from the four-dimensional plane to bring the event to pass. What happens on the physical plane is never dependent upon the four dimensional energies alone, nor upon physical environment alone; but upon the resistance, or its lack, of three-dimensional factors to four-dimensional energies. This means that in attaining health in any one of the twelve departments of life the physical factors should not be ignored. While true that, if the thought cells governing the fortune in a department of life are given sufficient harmony they will attract, by their four-dimensional activities, the proper physical conditions to remedy the difficulty, yet they will require less energy to do the same thing if the proper physical conditions are provided through the exercise of objective intelligence. Physical health, for instance, requires that certain physical elements be taken into the body in the form of food. In spite of any thinking one can do, if the food supply is deprived of calcium or vitamin D, or its equivalent in sunlight, nervous troubles will develop. The thought cells cannot manufacture calcium out of air. Without calcium to counteract and stabilize the influence of phosphorus and potassium the nerves become over tense, irritated, even inflamed. Or if there is an excess of magnesium and not sufficient calcium present to balance, the nerves become flaccid and the individual responds so slowly to stimuli that he is considered dull and inert. The stellar cells of the astral body, as explained in Chapter 1 (Serial Lesson 95), have whatever intelligence has been imparted to them at the time of their formation. And if the stellar cells responsible for a bodily disease are properly Reconditioned and supplied with sufficient harmonious energy, they will impress the individual who needs calcium and vitamin D to acquire these necessities. But their four-dimensional work will be made vastly easier if the individual is aware he needs these elements and consciously takes steps to get them. In fact, if the individual exercising intelligence thus secures what he needs in the way of physical ingredients in his food, the Reconditioned stellar cells will require the expenditure of but a minimum of energy to be able to build a healthful physical body. Or to take another commonplace example: Physiological chemists tell us that the human system requires four different protein compounds which it seems unable to manufacture from other proteins. Very little of one of these four, histidine, is contained in milk. Usually milk also contains less iron than the system requires. Therefore, unless proteins and iron are obtained from some source other than milk the blood of an adult becomes impoverished. An infant usually has sufficient iron stored in its liver to carry through the first year. In the case of an individual suffering from anemia, for instance, the thought structures mapped in the birth chart by Saturn, Neptune and Mars when properly Reconditioned would impress him to eat foods containing iron, a variety of proteins, some copper, etc. If they were unsuccessful, through not possessing enough energy to overcome the resistance of environment to his acquiring these materials, in getting him to eat foods containing these things, he would remain anemic in spite of all his thinking; for the hemoglobin of the red blood corpuscles is not composed of air, but of definite chemical substances. It is not the function of thought to manufacture iron which must be present in the hemoglobin to carry oxygen; but it is a function of proper thought to acquire the iron, with which to replace the daily loss through the wearing out of red blood corpuscles, from foods containing iron. What has been said in regard to the physical requirements of bodily health is equally true in reference to the health of each of the other twelve departments of life. It is not the function of thought to manufacture wealth out of thin air. Wealth is derived from raw materials and natural resources, from processing these raw materials, or from services relating to these things or rendered to members of society. The Reconditioned thought cells within the astral body that had their origin in experiences relative to wealth will work with what intelligence they possess to attract sources of wealth into the life. But if an individual should refuse such contacts, the resistance offered by such an environment would be too great for the energy they possess to overcome. Yet on the other hand, if the individual intelligently associated with those sources of wealth most harmonious to himself, the Reconditioned thought cells would require very little energy to bring him wealth. Just what the physical environmental conditions are which, at a given time most favor the attaining of desired results, or most hinder the development of an undesired event it is the function of the birth chart and the progressed aspects to inform us. Yet if already we are aware of the disease, in whatever department of life it manifests, even without a birth chart we can get a rather clear picture of the type of thinking which is responsible for it. And this in turn will point not merely to the changes in thinking necessary for its correction, but also indirectly to the physical requirements with which the Reconditioned thought cells must work to bring the better condition about. 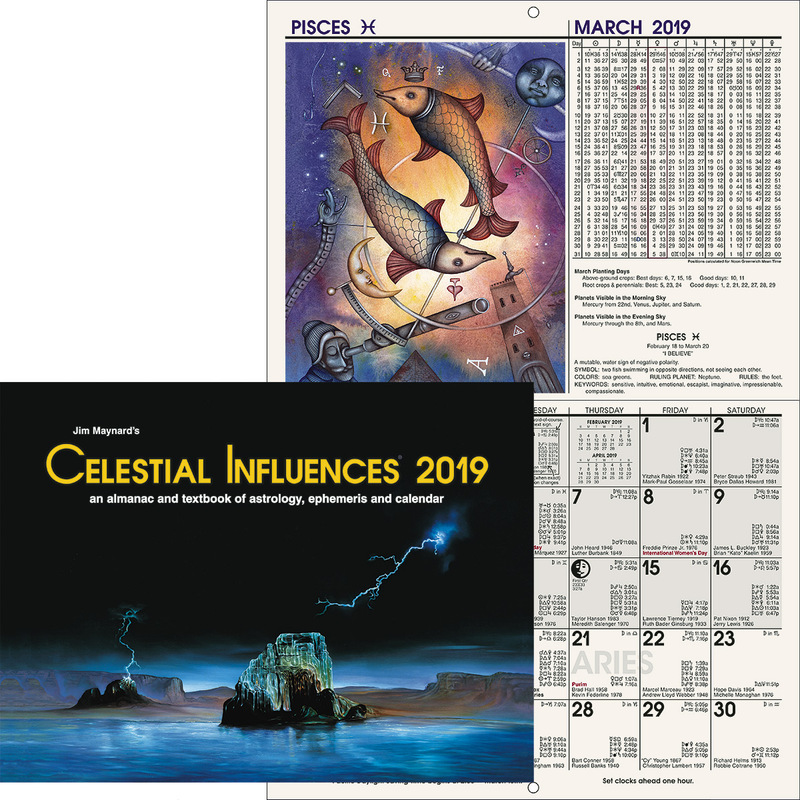 In Course XVI, Stellar Healing, the Birth Chart Constants and the Progressed Constants of 160 bodily diseases are given. They are given, as determined from statistical studies of the birth charts and progressed aspects of people thus afflicted in terms of the prominence and aspects of plants. 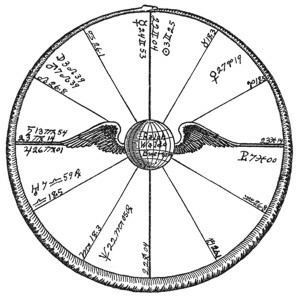 But as a prominent planet maps a thought structure in the astral body which gives rise to an equal prominence in the kind of thinking denoted by the planet, and as an aspect maps the harmony or discord of the compound in the thought cells, and thus the pleasure or pain of the thinking thus energized, both Birth Chart Constants and Progressed Constants denote the specific family and kind of thinking which is responsible for the condition, whatever it may be. 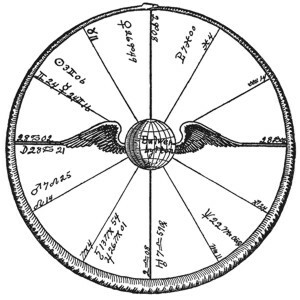 Furthermore, the Birth Chart Constants which make for success in many vocations have been ascertained, and both the Birth Chart and the Progressed Constants which coincide with a wide variety of events; events which relate favorably and events which relate disastrously, to each of the twelve departments of life. These in turn indicate the family, volume and harmony or discord of the thinking which is responsible for each of these various events. And it is the function of the Church of Light Research Department to ascertain these Constants, and therefore the exact kind of thinking, which is responsible for each important condition and each important type of event which enter people’s lives. In connection with each condition and each event, whether it is beneficial or detrimental, there are environmental factors which assist the kind of thinking which is responsible, to attract the condition or event, or which hinders it. In Course XVI, Stellar Healing, the type of foods which facilitate recovery from each of the 160 bodily diseases is briefly set forth. More specific information is given in Chapters 7 through 10 (Serial Lessons 222, 223, 224 and 225), Course XXI, Personal Alchemy. When a particular family of thought cells acquires an additional supply of discordant energy, through a progressed aspect forming an aerial to pick up the corresponding planetary energy with much static, the release of desire energy by these thought cells tends to cause the individual to neglect certain substances in his diet that are especially necessary at this time, due to the kind of thinking in which he indulges, to his bodily health. These special diet requirements have been ascertained. One does not need to know about progressed aspects to avail oneself of this knowledge, although this gives one greater precision in determining the need. If a person, for instance, indulges in fear, greed or worry, one may be sure he needs the foods recommended when Saturn is afflicted by progression. The lessons on Stellar Dietetics, Nos. 153, 222, 223, 224 and 225, give the environmental factors in so far as food requirements are concerned, which under each type of bodily affliction is best calculated to assist the thought cells to recover health. And in Course X-II, Progressing the Horoscope, especially in Chapters 2, 3, 4 and 5 (Serial Lessons 111, 112, 113 and 114), are set forth in sufficient detail the kind of environmental conditions which offer the greatest resistance to the efforts of discordant thought cells when they endeavor to attract various kinds of misfortune into the life, and the factors of physical environment which most readily aid the efforts of harmonious thought cells to bring various kinds of good fortune into the life. Instead, therefore, of expecting the thought cells which hare been Reconditioned through the process of Mental Alchemy to do all the work required to bring health to any of the twelve departments of life, their four dimensional labors should be facilitated by the conscious and intelligent selection of those physical environmental factors which most readily can be used by them in the attainment of the desired end. The Israelites are supposed to have rebelled when called upon to make bricks without the straw necessary to bind together the adobe. The easier you make the work required of the Reconditioned thought cells, the more confidence you may have they will possess sufficient energy to accomplish it. As the events attracted into the life, including health and disease, relative to any one of its twelve departments, are determined by the resistance of the external environment to the four-dimensional activities of the stellar cells in the corresponding compartment of the astral body, the more energy the thought cells of a given compartment acquire, the more influence they have to attract events of importance. And at the time, as explained in detail in Chapter 1, Course X-II (Serial Lesson 19), Progressing the Horoscope, a temporary stellar aerial is formed, as mapped by a progressed aspect, affecting this compartment, the stellar cells in it gain an additional energy supply with which thus to work toward attracting some event. Whether the event attracted, or the condition affecting the health of the department of life, is to the benefit of the individual or to his detriment is determined by the pleasure or pain felt at the time by the thought cells doing this four-dimensional work. This pleasure or pain, in turn, is determined by the manner in which the thought compound within the stellar cells was Conditioned at the time of their formation, as modified by the harmony or discord of the temporary energy reaching them. A discordant, progressed aspect adds energy loaded with painful static to them, and temporarily Conditions them to act more detrimental than is their usual habit; while a harmonious, progressed aspect adds energy of pleasing harmony to them, and temporarily Conditions them to act in a manner more beneficial than is their common custom. It will not here be necessary to explain in detail how the nervous system, in response to the feelings which at the time are dominant, tunes in the electric energies flowing over it to pick up astral vibrations of a corresponding rate; nor how these energies from the planets, from the character vibrations of objects and from the thoughts of people, because these nerve currents permeate every region of the body, reach all the permanent and temporary stellar aerials, such as are mapped by birth chart aspects and progressed aspects, and thus the thought cells fed by these aerials. 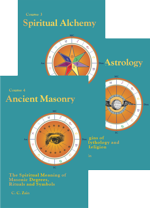 These matters are fully explained in Chapter 2 (Serial Lesson 198), Course XVI, Stellar Healing, Chapter 8 (Serial Lesson 110), Course X-I, Delineating the Horoscope, and Chapter 6 (Serial Lesson 61), Course V, Esoteric Psychology, where it is further pointed out that so long as an individual keeps his consciousness and feelings tuned to one type of vibration these are the ones picked up and added as Rallying Forces to all the various thought cells reached by aerials. That is, so long as a certain feeling is dominant, the person is so completely tuned in on a specific wavelength that other wavelengths of energy are not strong enough to make their influence felt at the receiving sets which transmit energy to the thought cells. The only program received distinctly by any of the thought cells within the astral body during such a time, is the one tuned in on by the intense feeling. So far, therefore, as new energy supplies reaching the thought cells are concerned, through inducing and maintaining the feelings he desires man can determine, in spite of progressed aspects, what these shall be. Yet thought cells may, and often do, possess so much inharmony that any amount of temporary harmony reaching them as a Rallying Force is insufficient to cause them to act in a beneficial manner; and other thought cells may, and often do, possess so much harmony that any amount of temporary discord reaching them as a Rallying Force is unable to cause them to act in a manner wholly detrimental. In fact, as determined by a vast amount of statistical work in connection with birth chart positions and progressed aspects, the energy with which the compound was Conditioned at its formation is more important in determining the harmony or discord of the work done by the thought cells when that energy is released than is the quality of such temporary energy as may be added to them. Permanently to correct a serious disease in any one of the twelve departments of life it becomes necessary, through some process, more harmoniously to Recondition the thought compound in the stellar cells chiefly responsible for it. Yet the mere temporary adding of Rallying Forces, unless these are specifically directed to do that work, commonly does not sufficiently change the basic desires of the thought cells; but only for the time increases their activity. Furthermore, a Rallying Force is of a definite planetary type; that is, it belongs to the Aggressive quality, the Religious quality, the Power quality, etc. Consequently the energy it adds to a thought-cell group or thought compound is of that quality and temporarily similar in effect to the thought elements belonging to the same family. It should be selected, therefore, just as the thoughts are selected, with due reference to what specific type is required as a Mental Antidote or to effect Conversion. Then by associating it with thoughts and experiences definitely chosen for the purpose of altering the thought compound, it can effectively be employed to give the required energy to divert the desires of the thought cells permanently toward activities fortunate to the individual. Each individual, because of the particular thought-cell composition of his astral body and the stellar aerials connecting his most active dynamic stellar structures, can acquire harmonious Rallying Forces belonging to certain thought families much easier than he can acquire the harmonious Rallying Forces belonging to other thought families. It may be that these most easily acquired Rallying Forces are not those specifically required properly to alter the thought cells whose discordant compounds are responsible for his misfortune. In case they are not, he must cultivate the other sources of Conditioning Energy which are specifically required to make the alterations necessary to overcome the disease. But as a rule, even when of a character not specifically required in the treatment of the disease, because they are acquired in volume and in harmony with so little effort, and when thus tuned in on add harmonious energy to all the thought cells, they can be made of great value in general to health and fortune. Such Rallying Forces as are picked up, radio fashion, by the permanent aerials mapped by birth chart aspects, or by temporary aerials mapped by progressed aspects, are not well defined thoughts, nor are they thoughts relative to any particular department of life. Instead, they are energies which give rise to intense feelings which are associated with whatever subject or department of life the person at the time is thinking about. To the extent, while a Rallying Force is present, whether induced volitionally or without intent, an individual thinks clearly and definitely about some particular thing, does the energy of the Rallying Force tend to Recondition in its direction the thought compound in the stellar cells relating to the department of life thus thought about. But such energy as is thus added to the compound is always of a definite planetary type. That is when one feels Aggressive one is adding Aggressive thought elements along with the Aggressive Conditioning energy to whatever thought compound the definite thoughts relate, even if they relate also to Safety or to Power. Chapter 4 (Serial Lesson 200), Course XVI, Stellar Healing, explains the details of tuning in on any selected planetary energy it is desired to use, whether there is, or is not, a strong aerial within the astral body of the proper length to pick it up. And Chapter 5 (Serial Lesson 201), Course XVI, Stellar Healing, gives considerable information on using the energies thus selected and tuned in on for healing purposes. The technique of tuning in is that of inducing and maintaining the feeling of the constructive energies of the selected planet. The technique of applying them is as vividly as possible to think of the things of the department of life to be healed, while the feeling is present. This will Recondition the compounds within the thought cells relating to them. As is fully explained in Chapters 4 and 5 (Serial Lessons 59 and 60), Course V, Esoteric Psychology, the energy of desires can be diverted through properly selected ASSOCIATIONS to flow in any channels decided upon. This applies equally to the desires of the thought cells to work in a given way from the four-dimensional plane, as to the desires of which we are objectively conscious which relate to our three-dimensional activities. To hold certain thoughts definitely in mind while feeling a certain emotion whether derived from a Rallying Force or from any other source, is to charge those thoughts with the specific planetary type of Conditioning energy of that emotion. The greater the intensity of the energy imparted to them, the more powerful to accomplish work do the thoughts associated with it become. The Conversion of thought elements within a thought compound, or the adding of Mental Antidotes to the compound, is effective to produce an alteration in the compound in proportion to the volume and intensity of the Conditioning Energy added to, or developed within, the thought compound to be changed. Mental Antidotes possess some spontaneous ability to generate pleasant Conditioning energy when added to a compound. But their Power to Recondition the thought compound properly, and thus produce the healing result desired, is greatly increased if they are added along with a conscious feeling of intense pleasure. And the Conversion of a thought compound through the rearrangement of its thought elements requires the conscious use of pleasant Conditioning energy. However, either in the application of Mental Antidotes or in the process of Conversion, if the compound is to be changed in the manner decided upon, this Conditioning energy cannot be just any harmonious Rallying Force that the individual has special facility to generate. Usually such a harmonious, and easily acquired Rallying Force, will be found highly beneficial to the compound, because it is already Associated with the family of thought elements which is most beneficially Conditioned within the person’s astral body. Adding these harmoniously to any other thought compound within the astral body thus is usually advantageous. But if the compound is to be altered in the most beneficial way, the harmonious Conditioning energy must belong to the planetary type of the thought elements added or changed. While the most easily acquired Rallying Forces may not be the ones specifically required to heal some department of life which is diseased, they are, nevertheless—for instance, when they belong to the same planetary family as the mental antidote—sometimes the ones most needed, and they can always be made of great general value to the life. How they may be determined, therefore, should be understood. Each person, because of the stellar aerials stretching across his astral body, picks up certain planetary energies in volume and with less static, than he picks up other planetary energies. Because of these incoming energies, he finds it easier to feel intensely harmonious when tuned in on them than when tuned in on other planetary vibrations. A planet in the birth chart which is prominent and receives only good aspects, maps a powerful group of thought cells which commonly receive over these aerials mapped by the aspects only harmonious energies. This group of thought cells, therefore, whenever they find opportunity to release energy through connecting up with the electric currents of the nervous system, tend to tune the individual in, through the pleasant sensations felt, on the harmonious energies radiated by the planet. A well-aspected planet in the birth chart, therefore, maps a harmonious Rallying Force which is easily tuned in on, and can be used with less effort than can energies whose vibratory rates are not already an integral part of the character. In particular, there are two configurations which when they do appear in a birth chart indicate powerful sources of harmonious and easily acquired Rallying Forces. One is a Grand Trine, in which two planets in the chart are in trine aspect to each other, and both are in trine aspect to a third planet, making thus approximately an equilateral triangle of the stellar aerials stretching across the astral body. In those things represented by the Grand Trine the individual will be fortunate, because the thought compounds in the dynamic stellar structure mapped by each planet are both harmonious and possessed of a high degree of energy. Therefore, to the extent the person having such a Grand Trine devotes his energies to the things of the departments of life indicated by the compartments where these harmonious thought cells reside will in his life encounter exceptionally good fortune. The stellar cells will work energetically from the four-dimensional plane to attract favors and success to him relative to the matters associated with their formation. Our interest here in a Grand Trine, however, is that its spontaneous harmony and strength enables it so readily to be used as a source of beneficial Rallying Forces. It is easy to induce and maintain the pleasant feeling which in quality corresponds to one or more of its planets; and because there are stellar aerials in the astral body of proper length to pick up this energy readily and in volume, this makes powerful and beneficial Rallying Forces available with little effort. The other planetary configuration which indicates a specially potent and harmonious source of Rallying Forces is a planet which, as often occurs, breaks up an opposition aspect between two other planets by making the sextile aspect to one and the trine aspect to the other. The opposition maps an aerial which picks up planetary energy loaded with separative static. But such an opposition also maps at each terminal, thought cells into which have been built a tremendous amount of energy. This energy, from both groups of thought cells at the ends of the opposition, is tapped harmoniously by the group of thought cells mapped by the planet making the sextile and the trine. To the extent, therefore, the individual devotes his energies to the things of the department of life indicated by the compartment where reside the harmonious cells mapped by the Conciliating Planet, will his life encounter exceptionally good fortune. 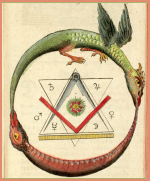 And as in the case of a Grand Trine, this Conciliating Planet which in this relation draws for power from the opposition, maps a source of powerful harmonious energy which may readily be tapped, and which tunes the whole nervous system in on the harmonious vibrations radiated by the Conciliating Planet. Because the stellar aerials present in the astral body that lead to the Conciliating Planet are of a length to pick up its energy harmoniously and in volume, it is easy to maintain the feeling and thus acquire a steady supply of powerful Rallying Forces. Not everyone, however, has either a Grand Trine or a Conciliating Planet in his birth chart. But everyone has a Best Planet in his birth chart, which maps the most harmonious dynamic stellar structure within his astral body, and this is the receiving set which has the greatest facility for tuning his nervous system in on powerful harmonious planetary energy. Furthermore, when progressed aspects form, each, to the extent it is powerful, builds a temporary stellar aerial across the astral body. If such an aerial is of the length to pick up harmonious planetary energy, it also facilitates developing and maintaining the pleasant feeling of its planetary terminals. Of course, if these thought cells at the terminals are of markedly discordant compounds, tuning in on the planetary energies corresponding to them will facilitate feeling discord and thus picking up, radio fashion, more discord. But to the extent either the permanent aerials mapped by aspects in the birth chart, or the temporary aerials mapped by progressed aspects within one degree of perfect, are present which tend to pick up only harmonious energy, can they be utilized to assist in developing powerful Rallying Forces. That is, it is easy to develop and maintain the feelings corresponding to the planet, and thus persistently to tune in on its vibrations. While as indicated, each individual has within himself stellar aerials which make it easier for him to develop and maintain a particular type of pleasant feeling, if some special thought compound within his astral body needs Reconditioning in a definite way, in some manner harmonious feelings must be developed of a type corresponding to the Conditioning energy required for the alteration. That is, if it is pleasant Jupiter energy which is needed to Recondition the thought compound, no other type of energy will do so well. Yet even though there is no harmonious aerial to the planet Jupiter, either in the birth chart or by progression, nevertheless harmonious Jupiter energies can be developed as Rallying Forces. In that case the work will be more difficult. It will require greater effort to keep the benevolent, jovial, Jupiterian mood. And the more the person really needs these Rallying Forces, that is, the further removed temperamentally he is from Jupiter, the more effort will be required for him to keep himself feeling strongly and harmoniously in the Jupiterian mood. Yet irrespective of special stellar aerials, if an individual places himself in a mood strongly characteristic of any planet’s vibrations, the electric energies of his nervous system tune in on that planet’s vibrations, and these following the nerves reach all the stellar aerials within his astral body and find some access to all the thought cells. Thus can an individual acquire, through effort, whatever type of planetary energy he most needs. But before any such attempt is made he should, as explained in Chapter 2 (Serial Lesson 96), first determine the thought compound and the type of thinking which is responsible for the condition he wishes to correct. From this information he should, through the methods set forth in Chapters 3 and 4 (Serial Lessons 97 and 98), decide whether it is better to use the method of Conversion, which is the only alternative if the compound causing the difficulty is composed of Mental Antidotes, or to use a Mental Antidote. If the latter seems to be the best method to follow, he should then select, according to the principles set forth in Chapter 3, the family of thoughts that is the suitable antidote. Having selected the antidote, or decided upon Conversion, he should next outline specific plans for developing the required kind of thinking, and energizing it harmoniously with as powerful feelings as possible. Included in this plan should be the determination to substitute selected constructive thoughts for those which are responsible for the difficulty whenever these come into the consciousness; and to think about the department of life—about the health of the body if the bodily health is to be improved—only in association with the thoughts and feelings thus decided upon. And to make these selected thoughts effective in the accomplishment of the work contemplated, the plan should also formulate means by which the selected planetary type of feeling energy can be aroused and maintained while these thoughts are before consciousness; or if it seems desirable, can be developed as a permanent mood by which the appropriate Rallying Forces may be added to all the thought cells within the unconscious mind. As explained in Chapter 4 (Serial Lesson 98), deliberately to substitute one type of thinking for the type which more spontaneously rises into objective consciousness is to add these deliberately selected thought elements and the Conditioning energy at the time present to the compound of the dynamic stellar structure responsible for the more spontaneous thoughts. The substitution associates them, and the feeling energy Conditions the harmony or discord of the new combination. To think about a department of life adds the thought elements and the Conditioning energy present at the time, to the thought cells of the compartment of the astral body relating to the department of life. 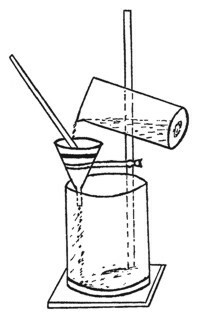 When Conversion is the method which seems advisable, the problem is not that of substituting new families of thoughts, but that of substituting the constructive expression of the same families for their more discordant expression, along with feeling energy of sufficient intensity and volume to Recondition the compound to be altered. That is, whenever the thoughts of either family involved in the compound rise into the consciousness, their constructive expression should deliberately be substituted for the expression which is more spontaneous. When thoughts relating to both families of elements in the compound rise into consciousness, as will frequently be the case because of their association in the compound, constructive thinking about their relation each to the other should be substituted for the more spontaneous type of thinking. And whenever thoughts enter the consciousness relating to either or both departments of life, the thought cells of which embrace these compounds, the constructive expression of the thought families embraced within these compounds should deliberately be substituted for the more spontaneous kind of thinking about these things. Furthermore, in Conversion, because unless the compound is of Mental Antidotes the pleasant affinity of the elements is lacking, it requires a far higher intensity and greater volume of pleasant feeling to effect the proper Reconditioning of the compound. Every person, in the past, has had a variety of pleasant experiences. And it is very easy to select the family of thought elements to which the incidents chiefly relate. If the source of pleasure arose mostly from the heightened sense of significance, the incident was responsible for building Power thought elements into the astral body; and when it is recalled in memory and that pleasure again pondered over, more Power thought elements are added to the astral form along with harmonious Conditioning Energy. Perhaps there have been joyous experiences with strife and aggression in the past. These experiences, recalled as vividly as possible, and with as great intensity of feeling as can be engendered, not only build Aggressive thought elements into the stellar cells of the unconscious mind, but they add with them harmonious Conditioning Energy. In thus recalling affectional experiences which have afforded high pleasure, for the purpose of adding social thought elements to the astral body along with harmonious Conditioning Energy, it is essential, if later experiences developing out of these have been less pleasant, to confine the attention as closely as may be to the briefer period of idyllic love. If disillusionment followed the happier period, one should live in reverie, and as intently and joyously as possible, only in the time when affection was coming into bloom and before its blossoms began to fade. Living in the past may tend to divert energy from future accomplishment: but when such is deliberately cultivated, with the past experience carefully selected for its Conditioning Energy and as an agent for Conversion or for use as a Mental Antidote, it not only is permissible, but can be made to afford just the thought elements required, along with the proper quantity and intensity of Conditioning Energy, to alter the thought composition of certain stellar cells in just the desired way. At one’s leisure it is advantageous to ponder on the various experiences one has had so far in life, with the object in view of selecting those which were at the time most highly pleasurable and at the same time of a character which gained satisfaction for commendable desires. One can briefly analyze them as to the family whose desires finding satisfaction chiefly gave rise to the pleasure, and note them down under this thought-family classification for use whenever the occasion seems to require the application of these thought elements along with happy Conditioning Energy. Even aside from applying Conversion or Mental Antidotes, the most satisfactory method of preventing the mind from being occupied with discordant thoughts which arise in response to difficulties encountered, is to have ready at hand some selected interest which has ufficient pleasure already associated with it that it can displace the discordant thoughts which otherwise would build inimical thought compounds into the finer form. And with a classified list of reminiscences of happy experiences, one is in a position not only to recall something from the past to take the place of intruding mental discord, but one can select the reminiscence thus to be used with the special need in view for a Mental Antidote or Conversion. In this selection from the list one may be sure that the substituted reminiscence will add both the thought elements and the Conditioning Energy thus engendered, to the mental compound within the astral form which is responsible for the thinking which it is used to displace. That is, the fact that it is used to displace a train of thoughts, associates it with the thought elements the release of whose energies are responsible for that train of thoughts. In addition to such reminiscences, there are experiences one hopes to have, and experiences of the imagination, which, to the extent they are vivid and capable of arousing intense feelings of pleasure, can be used as sources of Mental Antidotes and Conditioning Energy. Such trains of thinking can be devised and tested out as to the amount of emotional energy they generate. And they can be listed in the same manner as can reminiscences, for use according to the demand at special times. It has been said that the joy of anticipation often is greater than that of realization. Most people get a thrill of pleasure in planning the things they like to do. The planning of security for the future, in which system, forethought, persistence and labor are involved can be made to yield both the Safety thought elements, and pleasant Conditioning Energy. Most people can acquire quite an intense feeling of satisfaction through contemplating the steps and the results of such carefully thought out security plans. And as thinking about such plans, once they have been formulated and the individual has become accustomed to find joy in them, can be substituted for any other train of thought that enters the mind, the Safety thought elements and the accompanying Conditioning energy can be added to any structure, or to any compartment, within the astral body. Nor is it difficult to call up in the imagination hoped for experiences of a religious nature. One can anticipate actions of good fellowship, deeds of benevolence, and the jovial kindness and helpfulness which characterizes the Religious thought elements. And one can think about the anticipated or imaginary experiences with the glow of kindly feeling that should accompany such actions. Having formulated them once, one can then keep them on tap for those occasions when there is special need of the Religious thought elements to afford the proper antidote along with proper Conditioning Energy. If they are substituted for critical intellectual processes, we may be sure that associates them with the Intellectual thought elements which are responsible for those analytical thoughts. If they are substituted for distressing thoughts about the home, we may be equally sure that they are then built into the thought cells of the astral body relating to the home. But if they are not substituted for other thinking they tend to move within the astral body to that section relating to the department of life or that type of activity about which the thinking at the time chiefly revolves. A still better source of thought elements and Conditioning Energy than any to be had from reminiscences or from contemplating something yet to come, is that to be derived from actual life experience. To actually do something with the feeling of pleasure in the doing is the most satisfactory way to add thought factors to the astral body. Intentions thus confirmed by action acquire a power through those actions which is difficult to attain through imagination only. Furthermore, the unconscious mind gains a powerful and proper suggestion at the same time; for the action convinces it that actual results should follow. It is better, therefore, to engage in some effort which will concentrate the thoughts and feelings according to the thought elements and Conditioning Energy desired, than it is merely to call such activities up in the imagination. 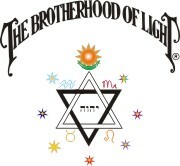 And in addition to the application of the proper thought elements and Conditioning Energy to affect the desired change within the thought cells of the astral body, which is the process of Mental Alchemy, the healing process will be facilitated by talking to the organs and thought cells and telling them just what they are expected to do. They each have an intelligence of their own, and tend to respond to suggestions thus given them. Talk to them just as you would talk to an individual, kindly but firmly. And to aid all to cooperate in the desired end, keep the image of perfect health before the attention of the mind. 1822, entered Trinity College, Cambridge: Venus square Mars p.
1828, published Pelham, first successful novel: Venus trine Jupiter r.
1831, gained seat in Parliament: Mars sextile Mercury r.
1832, living apart from wife: Mars semisquare Uranus r.
1833, published Godolphin: Venus conjunction Sun r.
1836, legal separation from wife, produced a poetical play: Mars trine Venus r, Mercury square Uranus P.
1841, lost seat in Parliament: Venus semisquare Venus r, Venus semisquare Moon r.
1873, January 18, died while at work writing: Mars conjunction Saturn p.
1821, graduated from Harvard: Venus square Mars p.
1829, elected assistant preacher: Venus trine Jupiter r.
1832, quarreled with deacons, resigned his position, his wife died: Mars sextile Mercury r, Mars semisquare Uranus r.
1833, trip abroad, literary friends: Venus conjunction Sun r.
1836, brother died, founded Transcendental School published first work, Nature: Mars trine Venus r, Mercury square Uranus p.
1841, published first series of Essays: Venus semisquare Venus r.
1872, health failed, never to be recovered: Mars conjunction Saturn p, Mars semisquare Moon r. Died ten years later: Mars square Mercury r.